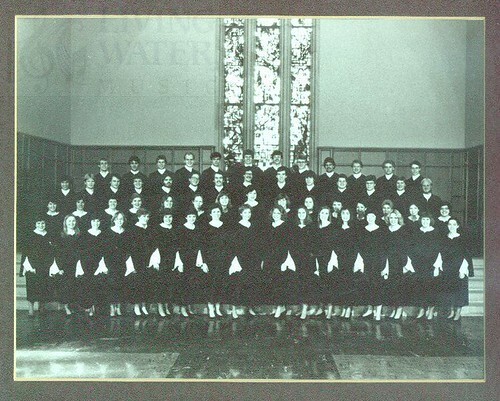 Maestro Craig LiaBraaten was selected as a freshman to join this famed choir, where he served as section leader (bass-baritones) and Choir Chaplain for three years. LiaBraaten toured nationally with this elite choir as both a vocal soloist (as a German baritone / Helden tenor), and also as a virtuoso concert pianist under the direction of Choir Director Emeritus Kenneth Jennings. In this photo LiaBraaten is pictured in the third row, fifth from the left side. Yes, The Minnesota Piano Man had a beard back then, too … friends say he’s had the beard since tenth grade!